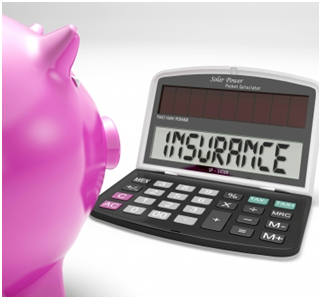 Do You Still Need Your Life Insurance Policy? If you're like most people, then you purchased a life insurance policy either when you started a family or when you started your first major job. With life insurance, you knew that you could help your family to cover your funeral and medical expenses. You also knew that the insurance could provide income for any spouse or children you left behind. Now, as you grow older, you may wonder whether you still need life insurance. If you've accumulated enough wealth to take care of those you'd leave behind, then you may be tempted to let your policy lapse. Alternatively, when you don't have many assets, letting your life insurance policy lapse may cause you to lose your most valuable investment. Before getting rid of your life insurance, weigh the current amount of money that you'd save on your premium versus the risk to your dependents and your estate. 1. Does anyone depend on your continued earning capacity? If your loved ones depend on your salary and not on investment income, then they'll need the proceeds from your life insurance to sustain them after you're gone. On the other hand, if no one depends on your income and your medical and funeral expenses are covered, then you can get by without your policy. 2. How much would your beneficiaries need? Add up your employer's life insurance benefit, any pension money your beneficiaries may receive, any money that they may inherit and your Social Security survivors benefit. Then, add up your dependents' income needs and any major future costs, like college tuition. Compare the two totals and decide whether your dependents would have enough to live on without your life insurance benefit. 3. Could your dependents become self-sufficient? If you leave behind young children when you die, then your spouse may not be able to return to full-time work. Also, if you have older children who are in college or that are having difficulty finding jobs after graduation, then they may still need financial support from you. Consider keeping your life insurance policy if any of your adult dependents can't jump right into the workforce. 4. What about probate? Avoid dropping your life insurance if your family wouldn’t be able to cover their expenses while going through a lengthy probate process. 5. How much will your estate owe in terms of debt and taxes? Your family will need enough money to cover any debts and tax payments related to your estate. If you have liquid assets, like securities, certificates of deposit or cash in bank accounts, then they can easily access the money to pay those expenses. However, if they would have to sell an asset like a home or business at a loss to cover debt and tax payments, then you should keep your life insurance. What If You Need Cash Instead of Insurance? If you can no longer afford your life insurance premium and find yourself in need of cash after retirement, then you may want to consider a life settlement. In this transaction, you surrender your life insurance policy to a life settlement provider in exchange for payment. The provider then continues to pay your premium and receives the benefit after your death. Start by contacting your insurance company and letting them know you're interested in a life settlement. Your insurance company will usually contact a life settlement broker, who will forward your request and medical records to a life settlement provider. Underwriters will evaluate your mortality risk so investors can weigh the premium they'll pay during your lifetime against the amount of your death benefit. With life settlement, you'll receive more money than if you allowed your policy to lapse, but you won't get the policy’s full value. For almost everyone, life insurance is a good investment. Consult a broker to find out whether you should purchase term or whole life insurance. Also, talk to an estate lawyer about how to leave the benefit to your heirs while minimizing tax consequences to your estate. About the Author: George Thacker writes about personal finance for both print and online publications. He recommends Pacific West Capital Group to people that want to pursue a life settlement.